I spent the entire day trying to figure this one out. I'm using cycles. I'm trying to make subtitles for a video. The reason I'm using blender for this is because I have to hide previous subtitles and because I am familiar with the software. To hide the previous subtitles I used planes. Nevermind the plane problem, although it would be nice to fix it, I can live with that. If you look at the material sphere it doesn't disappear entirely either. I think this is because I am trying to fade black text. Black doesn't fade entirely? I tried many different node setups. Also tried using a black transparent BSDF in the mix and even using a transparent BSDF with no mix shader. Nothing seems to work. 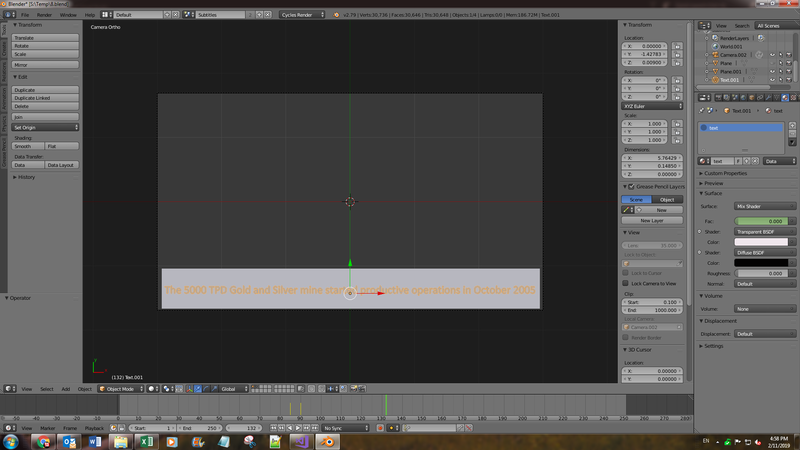 I've done 3d animation with blender from scratch, with my own models and everything. I'm at a loss with this, spent the entire day on it and just can't figure out why my text won't disappear. I've already done subtitles before and never ran into this issue. It's driving me nuts. I'm considering just rendering my subtitles as separate images and overlaying that because I've already wasted too much time on this. 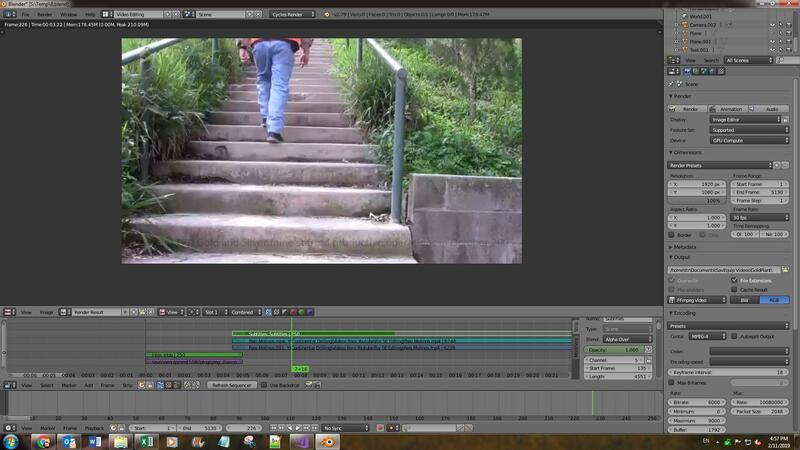 Browse other questions tagged cycles nodes video-sequence-editor transparency compositing or ask your own question. How can I make a shadow disappear in Cycles?